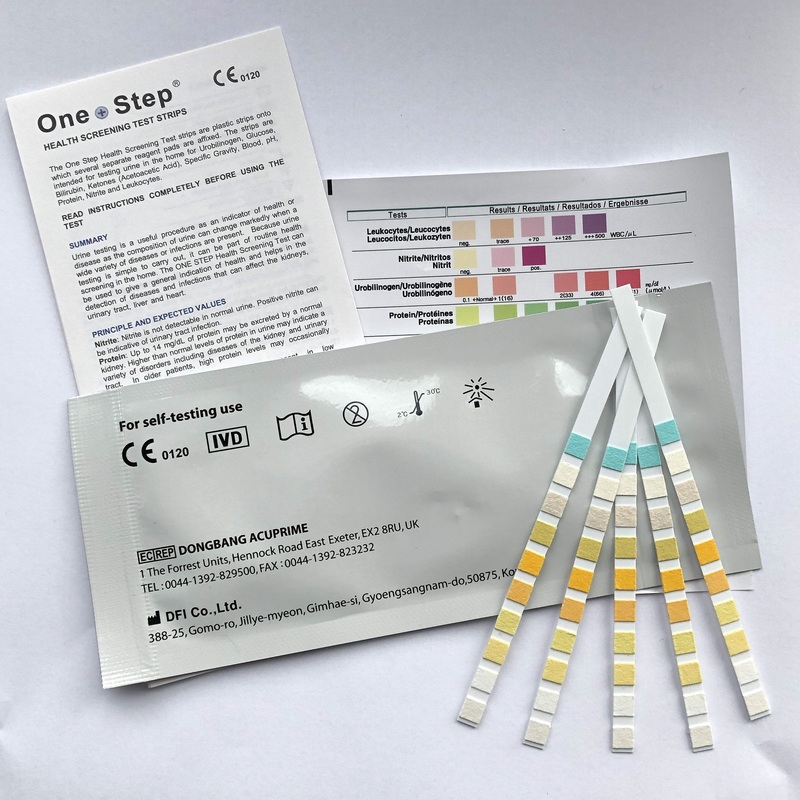 These urine test strips are used by medical professional around the world to quickly identify a number possible indicators to many different illnesses or conditions. 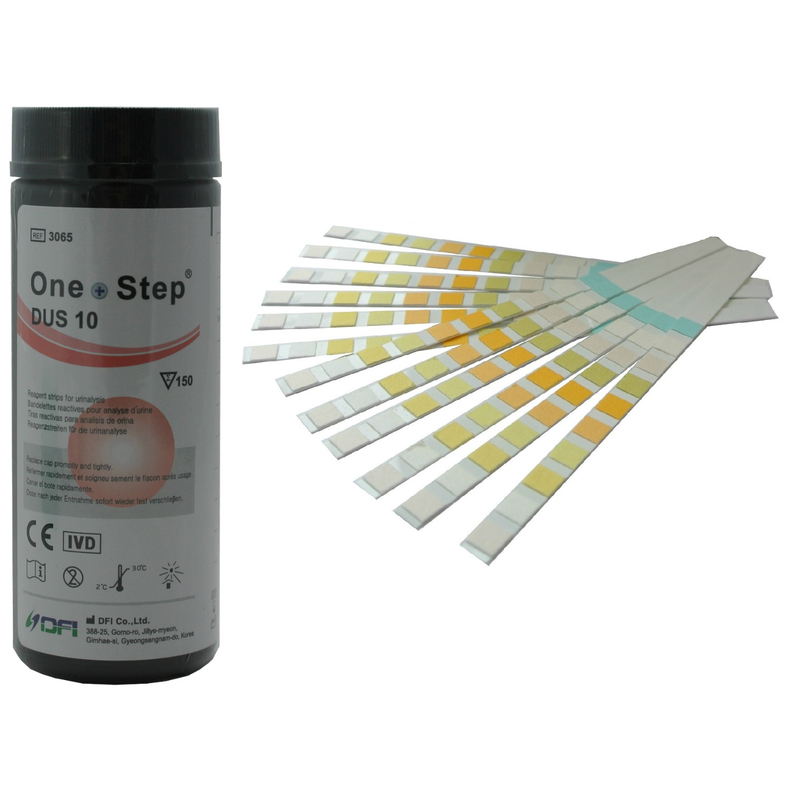 Our urinalysis reagent test strips. 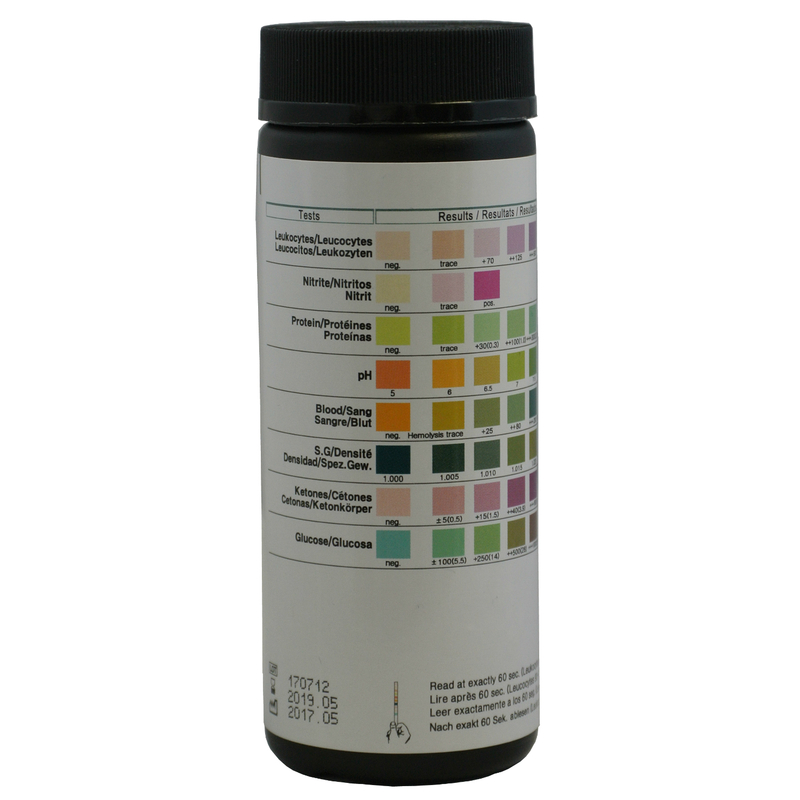 are packed in a standard sealed tub as shown above and each tub contains 100 parameter strip tests.